I love my travelers notebooks! They are so fun to decorate, there's such a lot of freedom and tons of room for creativity. One of the things I love is adding pockets. 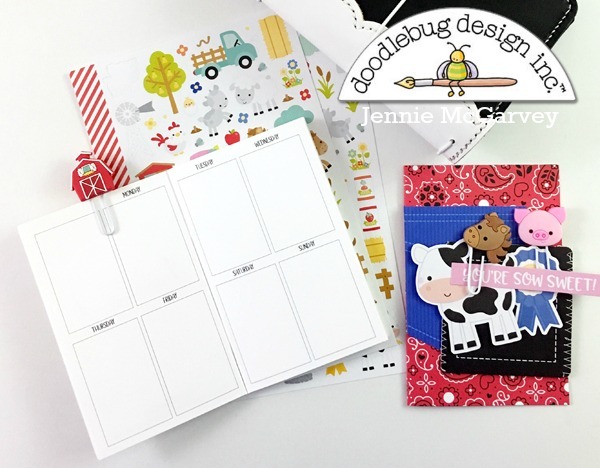 Today I used the Doodlebug Down On The Farm Cards and Envelopes to do just that! Take a small shipping tag and wrap a little bit of washi; around it. 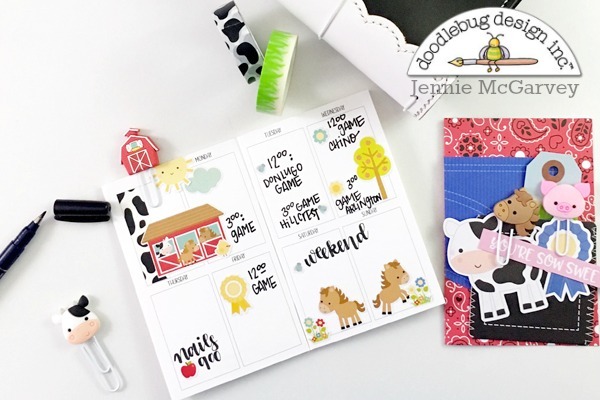 Now, you can take a little washi with you on the go! I love how you added the card for a pocket! Great idea!